When you pair a 3Dconnexion SpaceMouse Enterprise with a CadMouse and CadMouse pad the whole is definitely greater,than the sum of its parts. 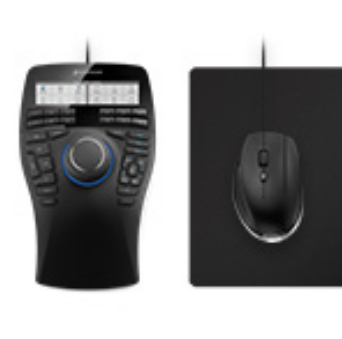 The SpaceMouse Enterprise smoothly positions your object or view,while the CadMouse selects and creates with ease. It's a natural and comfortable work style,that can't be matched.